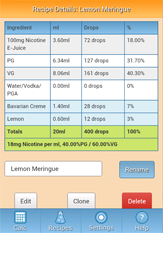 eJuice Calc is an e-juice recipe calculator available as both an Android app and a website. 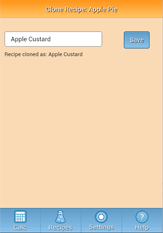 It is account-based, and recipes are stored securely in the cloud and accessible across devices and the web. We offer several free and paid plans to suit your needs, so sign up to join over 4200 happy eJuice Calc customers. 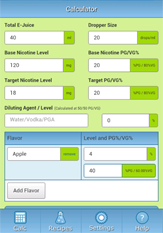 eJuice Calc does not have a native iOS app; however, this website is optimized for mobile Safari. 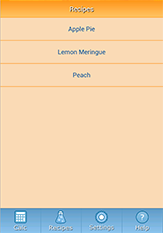 You can still use this website on your iPhone/iPad as a browser-based app. I absolutely LOVE this calculator... very intuitive. 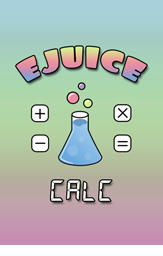 Get the latest eJuice Calc news and announcements.